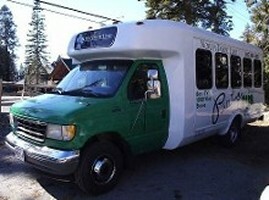 North Tahoe Limousine at Lake Tahoe proudly offers first class transportation services for affordable prices. Whether you need a ride to the airport or a ride from the resort or hotel to a favorite dining spot, our company has all your transportation needs covered. "DOOR TO DOOR CAR SERVICE" we will take you whenever & wherever you need to go. For your convenience we operate 24 hours a day, 7 days a week. We accept VISA, MASTERCARD, and AMERICAN EXPRESS. Rate Information We require a 2 hour minimum deposit for all charter reservations. All rates are subject to a 20% service charge. A gratuity is not included. If you need to cancel your reservation, please let us know at-least 5 days in advance of the reservation date to avoid any charges or fees, less then a 5 day advance cancellation is subject to and will be charged a $50 cancellation fee. Cancellations of 2 days or less in advance of the reservation date is subject and will be charged a cancellation fee for the whole amount of the hours and services reserved. Delayed Flight Arrivals of MORE THAN 15 MINUTES Are Subject to a $30.00 Standby Fee. Delayed Flight Arrivals of MORE THAN 30 MINUTES Will be CHARGED an ADDITIONAL HOUR @ The HOURLY Rate. All Charters Not Beginning & Ending in North Shore Lake Tahoe, Will Be Charged Travel Time.Due to Severe Weather or Unforeseen Events, Reservations Can Be Subject to Cancellation. We are not responsible for a missed flight, missed reservation or late arrival to any event for what ever reason that may occur. 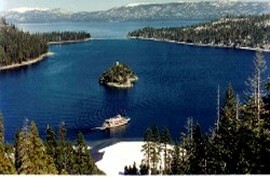 Enjoy a day with friends or loved ones on one of our relaxing tours of Lake Tahoe and the surrounding area. The breathtaking views of Lake Tahoe and the surrounding Sierra Mountains are sure to become a lasting memory with those you love. Contact us today at North Tahoe Limo to request our sigh seeing tours & transportation services.